Published: Oct. 31, 2014 at 12:30 a.m. Updated: Nov. 3, 2014 at 07:57 p.m.
We all know the immense pressure that comes with an interview for a job you really want. Now think about that intense level of anxiety and imagine being asked to run the 40-yard dash, or perform agility drills or perfectly execute a dig route. 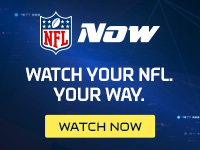 That was the challenge our six NFL hopefuls faced in the second episode of Undrafted, the latest original offering from NFL Network. In Thursday's premiere -- which will re-air on Tuesday at 9 p.m. ET -- former Alcorn State wide receiver Terrance Lewis came face-to-face with his football mortality. Lewis turned heads by running a 4.33 in the 40, but a pass drop during the 10-yard out drill put him squarely on the bubble. Lewis can't make another mistake. He knows this because they tell him. "Hey, these next two routes are going to make or break you, all right?" a combine official tells Lewis. Lewis rises to the challenge, perfectly executing a dig route and sideline tap drill. He cleanly catches passes at the end of each route. "Hey," the official says, getting Lewis' attention. "That's it right there." Lewis -- who calls the combine a "place of hope" as he attempts to escape his rough hometown -- shows no emotion after this compliment, but you know he's on fire inside. With everything on the line, he has stepped up. Now he waits for the next phone call and an invite to the super regional combine. One interview is done. Lewis hopes his journey is just beginning.